Frequently Asked Questions #9 - YeastInfection.Org by Eric Bakker N.D.
1. Why do I have mucus in my stool? Having some mucus in the stool is usually normal. Mucus is generally secreted by the mucus membranes in our digestive system. If you notice excess mucus, accompanied by cramps, pain, bloating, gas, there might be cause for concern. Mucus with Candida is not often, but could be a reason. Most instances having mucus has to do with parasites or bacterial infections. Those who have Inflammatory Bowel Disease may see a lot of mucus in their stool. Similarly, if you have Crohn’s disease, you may be dealing with mucus in stool as well. If you don’t have any of those diseases but see excessive mucus in your stool, it is worth getting tested to confirm. A lot of times, mucus in stool has to do with the inflammation of some part in the body. If inflammation is high, mucus will be there along with cramping pain. If you’re concerned about the excessive mucus, look out for blood in the stool along with cramping and gas and bloat. It may be wise to get a blood test done. You may need further exams done including a CT scan, a colonoscopy or endoscopy. It could be an infection or it could be a bowel obstruction. Infections can often cause this temporary amount of mucus. 2. What can happen if I don’t wash my hands before eating? Since a very early age, we have been taught to always wash our hands before and after eating. It is one of those good habits to have that will follow you all your life time. But why do we do it? Washing your hands before eating is important to keep away illnesses – cold, hepatitis A, diarrhea, and so much more. It is the best way to prevent getting an infection. Eating without washing your hands can give bacteria and germs that were left on your hands to be transferred to your mouth and then into your digestive system. You wouldn’t want this as it can cause severe illnesses and infections. Did you know that sore throats can be caused if you don’t wash your hands before eating? This gives the bacteria an easy in to travel down to your stomach through your mouth. As mentioned earlier, washing your hands can prevent you from getting coughs, colds, stomach bugs, and diarrhea. It is also best practise to wash your hands before cooking as to avoid transferring any bacteria into the food for everyone else to consume. We know the importance of keeping a good and clean hygiene to prevent your digestive system from getting any bacterial or yeast infection. Always wash your hands with soap to remove any germs you may have picked up. This will also help in preventing the bacteria from going into the eye, or nose. Eric Bakker goes into this topic and gives us a short overview on soaps and gut bacteria. Watch it here. 3. My scalp has white, flaky spots that are not dandruff. What is it? What is it if its not dandruff? It could be yeast infection of the scalp, also known as tinea capitis. While common among all ages, this kind of infection is most often seen in younger children. Yeast infection of the scalp can be caused by various things but the main cause is due to a fungus that infects skin and hair follicles. This fungus is also know as Candidiasis, the most common infection in humans. Signs and symptoms include patches on the skin, white flaky shedding, pimples with pus, white moist areas on the scalp. This infection can also cause hair loss. The white spots can come in various sizes. If you suspect a yeast infection of the scalp, you should consult with your doctor as soon as possible. They would test for a ski lesion KOH exam to determine if that is the case. There are medications that can be prescribed so that you can treat this condition. Fluconzole, an antifungal medication, can be prescribed to help treat the condition. Alternatively, tea tree oil, used by many for its antifungal properties, can also be used. Apple cider vinegar is another at home product that can help with dead skin and decreased inflammation of the scalp. To prevent getting a scalp yeast infection, always keep your scalp clean and dry. Avoid the antibiotics if you can. Give your head some air by not wearing caps or hates for too long. 4. I have really smelly gas even though I don’t eat gassy or smelly food. Explain why! Let’s face it – everyone farts. There are all sorts of farts. But just what is causing your gas to be smelly? People fart because they have a ton of bacteria in their guts. Those bacteria are cause of fermentation. We have two types of fermentation: dysbiotic fermentation and allergic fermentation. If you fart a lot, you should be carefully looking at the kind of food that you are consuming and the combination of food. Eating something sweet or too much sugar after a meal can cause gas. People who pass a lot of gas may have too much yeast, dysbiotic or imbalanced flora. They also don’t have enough beneficial flora. Lactobacillus and the bifido are beneficial flora like species which help in improving the process of fermentation. This aids in keeping the gut stable and prevents inappropriate fermentation from occurring. A person with a lot of gas can have candida along with low levels of beneficial bacteria. This is all caused by poor eating habits. To help with smelly gas, you can try probiotics and enzymes. 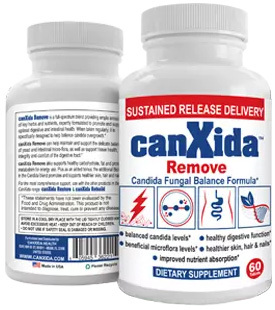 A good antimicrobial product like Canxida Remove along with a good probiotic enzyme formula, like the Canxida Restore can do wonders. Check out the following video by Eric Bakker where he explains the process. 5. How can smoking effect my gut health? Smoking has a very interesting relationship with the health of your gut. Though it does not cause candida, if you have candida, smoking does not help with getting rid of it. Why? Candida thrives on sugar. Nicotine constricts blood vessels and stimulates a stress in the body. Furthermore, it can stimulate the release of glycogen. When this happens, then the pancreas have to release insulin to move the sugar into a cell. Nicotine also effects the adrenal gland in getting it to stimulate the release of glycogen. Smoking increases blood sugar levels up, food for candida. In a study conducted on the relationship between candida and smoking, a group of 140 people were divided into two groups: group 1 including 18 years to 30 years old and group 2 including from 31 years to 60 years old. In total, there were 77 respondents were smokers. It was observed that patients with the presence of oral candida were smokers in 83% of cases compared to 44% of the patients who did not have candida and who were smokers. According to this study, smoking definitely influences the oral colonization of candida species and has a bad effect on oral health. In another similar study, it was demonstrated that cigarette smoking helped in increasing the number of candida and its severity in smokers.